Vitus XXL is a body scanner that quickly generates a 3D representation of the body according to the DIN EN ISO 20685 standard. The measurement principle is based on optical triangulation, with laser light (eye safe), which is acquired by eight sensor heads, located in four columns. This technology allows highly precise imaging (point density of the scan is 27pt/cm2), and touchless 3-dimensional measurement of the human body. The scanning volume is 2100 mm in height, 1000 mm in depth and 1200 mm in width, and the person is scanned top down in less than 12 seconds. A weight scale is integrated in the pedestal for subject weight measurement. INFOOT is a 3-dimensional foot scanner whose operation is based on the optical laser scanning system, developed by I-Ware Laboratory. INFOOT scans a foot form and the anatomical landmark points, and measures automatically almost 20 measuring items (markers are needed) as maximum. Scanned foot data is used for foot morphological analysis for research purposes, shoe last design, and also shoe selection based on 3D foot data. As this scanner is easily packable and transportable, IBV has used it to perform large field surveys around Spain to collect data from civilians and military population. ead Scanner USB is a 3-dimensional Optical Laser scanning system (eye safe) for face and head applications, developed by I-Ware Laboratory. Hair can not be captured, so the user needs to wear a head cap. 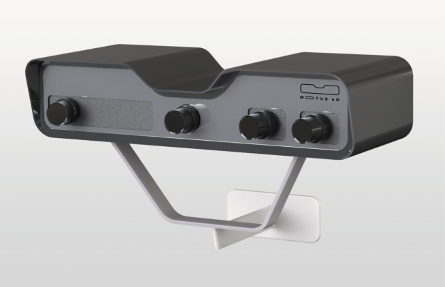 MOTUS 4D is a body scanning system that captures the 3D body surface in movement with a ultra-high speed rate (90 - 180 frames per second). The processing software automatically provides continous, watertigh and intra-frame homologous meshes, including the rigging skeleton. The manual instruments allow to take direct anthropometric measurements, regardless of the human shape but with more dependence on anatomical landmarks. The measurement protocols are longer and require closer contact with the subject. However the cost is much lower and they allow to take measurements anywhere in the world without having electrical power sources. The instruments used are determined by the type of magnitudes to be measured. Most of those instruments are marked in metric units, such as millimetres and centimeters.